Donald Trump, America’s long national nightmare, can claim one success: he has made American hate again. His hate campaign began by attacking migrants—like my family—then promising to ban Muslims, humiliating POWs, ridiculing disabled people, shaming gold star families, and admitting his sexist behavior to the world, while continuing to encourage his base to make America hate again. 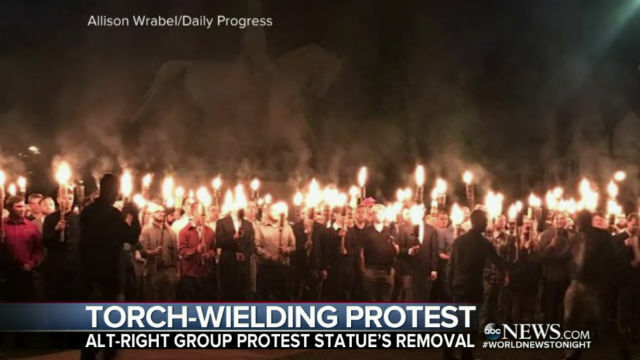 Now Charlottesville, Virginia, and domestic terrorism. Hate words lead to hate actions. All the while, plans draw closer to building more walls of shame, walls of hate, walls of death. Since 1994, with the building of Operation Gatekeeper’s wall—which already covers one-third of the U.S.-Mexican 2,000-mile border—more than 11,000 people have died in an attempt to cross into the United States the only way they can: without documents. The United States does not have a line in which they can stand; there is no humane immigration policy for them. Enrique Morones at the border wall earlier this year. The 11 million undocumented people in the United States are not a burden. They do in fact pay taxes — sales tax, property tax, and billions in social security tax — and despite what Trump says, the vast majoring are not criminals. In fact, undocumented immigrants are five times less likely to be criminals than U.S. citizens. We must never forget that before we were “us,” we were “them.” At one time, Germans were the largest group of recently arrived immigrants, then it was the Irish, Chinese, Italians, Jews, Mexicans and now Central Americans. Most did not speak English when they arrived; most speak English now. All of us worked in the fields at some time in our family history; now, most work in white-collar jobs. Each ethnic group has contributed greatly to the development of this nation. We will not be silent. We must not be silent. It was silence that led to Nov. 8. It was silence that led to Aug. 12. Silence kills. Our children are watching. The whole world is watching. We cannot sit silently as Trump continues his campaign to make America hate again. We must continue to rise up in love. Love overcomes hate and love has no borders. 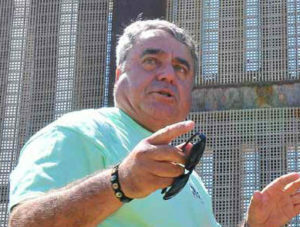 Enrique Morones is a native San Diegan, founder of the Border Angels and a prominent human rights activist.